We restore old buildings. We regard the new works as an extension of the existing building, often essential for achieving the degree of comfort required in modern times. 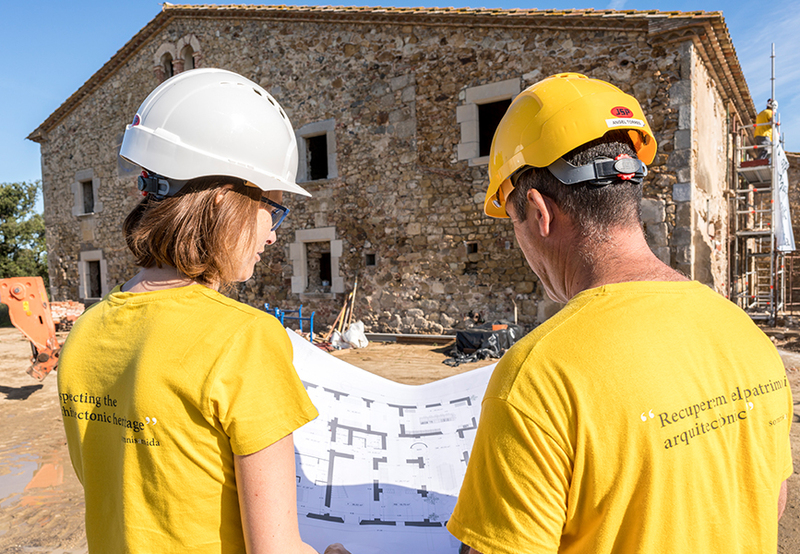 As a construction company we carry out the architect's project, who, in turn, has designed it in accordance with the owner’s needs and wishes. We have no limits when it comes to restoring and refurbishing any architectural element of the building, while we also enjoy achieving perfection in the constructive details, the finishes and the building envelope. Our continuous training enables us to stay abreast of the latest technological breakthroughs and materials for home automation and energy efficiency facilities. In addition, we specialise in dealing with foreign customers and have broad experience in visiting sites and holding video conference meetings with them. Despite them being far away, customers can view the work as often as they like. Accompanying the customer during purchases of properties to enable future owners, with our knowledge, to obtain more information when selecting further acquisitions. Advice for architects in the project phase, creating opinions and contents, and analysis of buildings by means of soil tests and trials. Often, in order to ensure a satisfactory project, prior demolition work is required to obtain greater knowledge of the layout of the materials, the structural state of the building and its potential. A relationship known as a partnership contract between the editing team and the customer. Drawing up of budgets in accordance with architects’ project measurements. Based on a thorough economic and time-related study of each stage of the works, in order to provide the best qualities and performances. Accompanying customers when visiting material suppliers. Exclusive maintenance of properties for which we have acted as consultants. Painting, masonry work, decoration, gardening, cleaning work, storage service, catering and organisation of events.